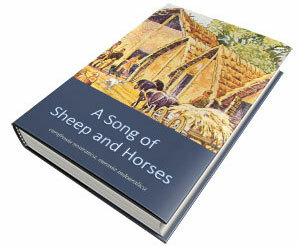 This is mainly a reread of from Book Two: A Game of Clans of the series A Song of Sheep and Horses: chapters iii.5. 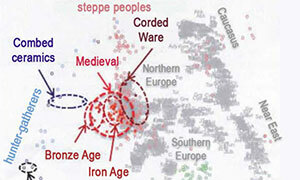 Early Indo-Europeans and Uralians, iv.3. 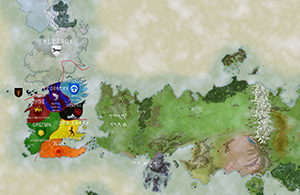 Early Uralians, v.6. Late Uralians and vi.3. Disintegrating Uralians. While the true source of R1a-M417 – the main haplogroup eventually associated with Corded Ware, and thus Uralic speakers – is still not known with precision, due to the lack of R1a-M198 in ancient samples, we already know that the Pontic-Caspian steppes were probably not it. We have many samples from the north Pontic area since the Mesolithic compared to the Volga-Ural territory, and there is a clear prevalence of I2a-M223 lineages in the forest-steppe area, mixed with R1b-V88 (possibly a back-migration from south-eastern Europe). R1a-M459 (xR1a-M198) lineages appear from the Mesolithic to the Chalcolithic scattered from the Baltic to the Caucasus, from the Dniester to Samara, in a situation similar to haplogroups Q1a-M25 and R1b-L754, which supports the idea that R1a, Q1a, and R1b expanded with ANE ancestry, possibly in different waves since the Epipalaeolithic, and formed the known ANE:EHG:WHG cline. 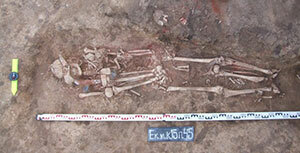 Y-DNA samples from Khvalynsk and neighbouring cultures. See full version. The first confirmed R1a-M417 sample comes from Alexandria, roughly coinciding with the so-called steppe hiatus. Its emergence in the area of the previous “early Sredni Stog” groups (see the mess of the traditional interpretation of the north Pontic groups as “Sredni Stog”) and its later expansion with Corded Ware supports Kristiansen’s interpretation that Corded Ware emerged from the Dnieper-Dniester corridor, although samples from the area up to ca. 4000 BC, including the few Middle Eneolithic samples available, show continuity of hg. I2a-M223 and typical Ukraine Neolithic ancestry. NOTE. The further subclade R1a-Z93 (Y26) reported for the sample from Alexandria seems too early, given the confidence interval for its formation (ca. 3500-2500 BC); even R1a-Z645 could be too early. Like the attribution of the R1b-L754 from Khvalynsk to R1b-V1636 (after being previously classifed as of Pre-V88 and M73 subclade), it seems reasonable to take these SNP calls with a pinch of salt: especially because Yleaf (designed to look for the furthest subclade possible) does not confirm for them any subclade beyond R1a-M417 and R1b-L754, respectively. 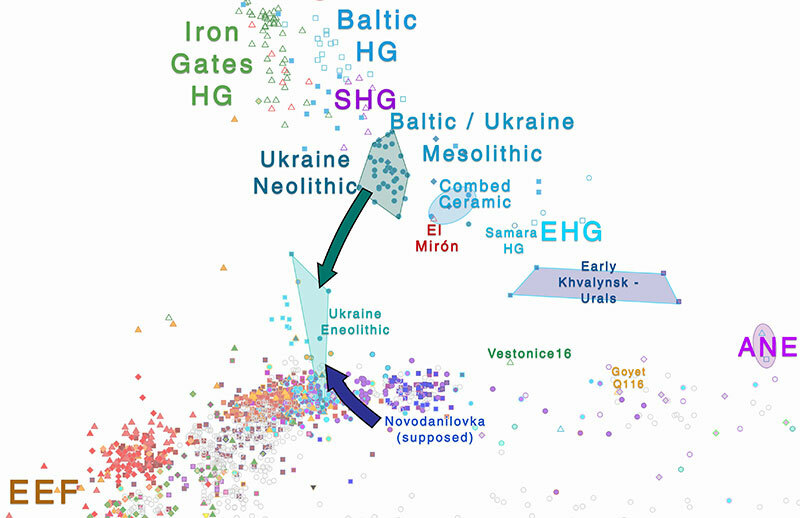 The sudden appearance of “steppe ancestry” in the region, with the high variability shown by Ukraine_Eneolithic samples, suggests that this is due to recent admixture of incoming foreign peoples (of Ukraine Neolithic / Comb Ware ancestry) with Novodanilovka settlers. The most likely origin of this population, taking into account the most common population movements in the area since the Neolithic, is the infiltration of (mainly) hunter-gatherers from the forest areas. That would confirm the traditional interpretation of the origin of Uralic speakers in the forest zone, although the nature of Pontic-Caspian settlers as hunter-gatherers rather than herders make this identification today fully unnecessary (see here). EDIT (3 FEB 2019): As for the most common guesstimates for Proto-Uralic, roughly coinciding with the expansion of this late Sredni Stog community (ca. 4000 BC), you can read the recent post by J. Pystynen in Freelance Reconstruction, Probing the roots of Samoyedic. 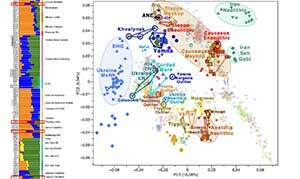 Late Sredni Stog admixture shows variability proper of recent admixture of forest-steppe peoples with steppe-like population. See full version here. NOTE. 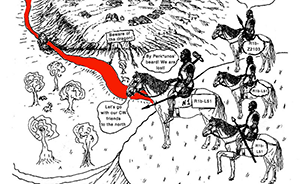 Although my initial simplistic interpretation (of early 2017) of Comb Ware peoples – traditionally identified as Uralic speakers – potentially showing steppe ancestry was probably wrong, it seems that peoples from the forest zone – related to Comb Ware or neighbouring groups like Lublyn-Volhynia – reached forest-steppe areas to the south and eventually expanded steppe ancestry into east-central Europe through the Volhynian Upland to the Polish Upland, during the late Trypillian disintegration (see a full account of the complex interactions of the Final Eneolithic). The most interesting aspect of ascertaining the origin of R1a-M417, given its prevalence among Uralic speakers, is to precisely locate the origin of contacts between Late Proto-Indo-European and Proto-Uralic. 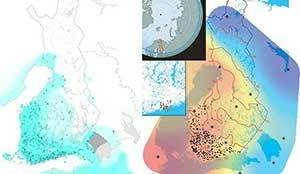 Traditionally considered as the consequence of contacts between Middle and Upper Volga regions, the most recent archaeological research and data from ancient DNA samples has made it clear that it is Corded Ware the most likely vector of expansion of Uralic languages, hence these contacts of Indo-Europeans of the Volga-Ural region with Uralians have to be looked for in neighbours of the north Pontic area. Sredni Stog – Repin contacts representing Uralic – Late Indo-European contacts were probably concentrated around the Don River. My bet – rather obvious today – is that the Don River area is the source of the earliest borrowings of Late Uralic from Late Indo-European (i.e. post-Indo-Anatolian). The borrowing of the Late PIE word for ‘horse’ is particularly interesting in this regard. Later contacts (after the loss of the initial laryngeal) may be attributed to the traditionally depicted Corded Ware – Yamna contact zone in the Dnieper-Dniester area. NOTE. While the finding of R1a-M417 populations neighbouring R1b-L23 in the Don-Volga interfluve would be great to confirm these contacts, I don’t know if the current pace of more and more published samples will continue. The information we have right now, in my opinion, suffices to support close contacts of neighbouring Indo-Europeans and Uralians in the Pontic-Caspian area during the Late Eneolithic. 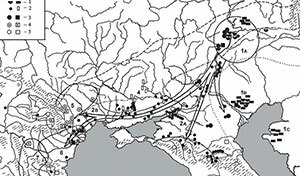 After some complex movements of TRB, late Trypillia and GAC peoples, Corded Ware apparently emerged in central-east Europe, under the influence of different cultures and from a population that probably (at least partially) stemmed from the north Pontic forest-steppe area. Interesting is the presence of R1b-L754 in Obłaczkowo, potentially of R1b-V88 subclade, as previously found in two Central European individuals from Blätterhole MN (ca. 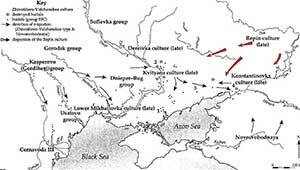 3650 and 3200 BC), and in the Iron Gates and north Pontic areas. 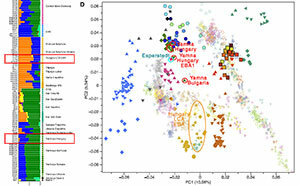 Haplogroups I2a and G have also been reported in early samples, all potentially related to the supposed Corded Ware central-east European homeland, likely in southern Poland, a region naturally connected to the north Pontic forest-steppe area and to the expansion of Neolithic groups. Y-DNA samples from early Corded Ware groups and neighbouring cultures. See full version. 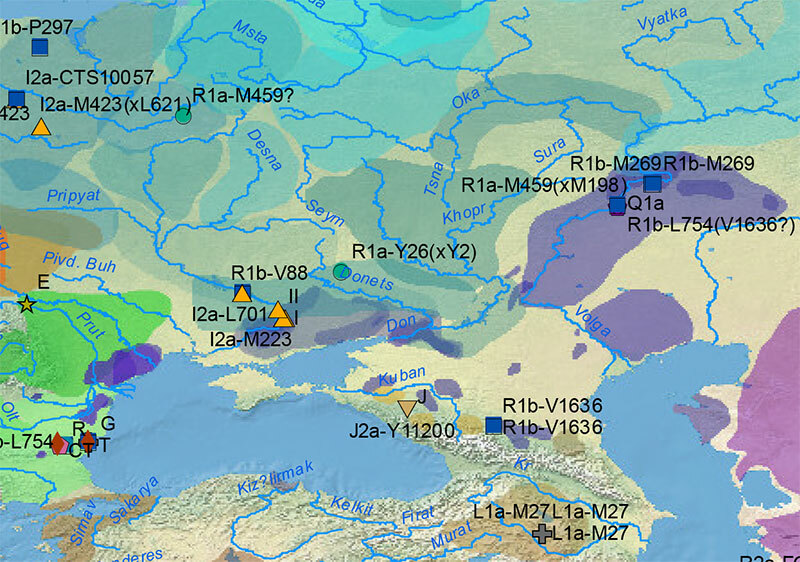 The true bottlenecks under haplogroup R1a-Z645 seem to have happened only during the migration of Corded Ware to the east: to the north into the Battle Axe culture, mainly under R1a-Z282, and to the south into Middle Dnieper – Fatyanovo-Balanovo – Abashevo, probably eventually under R1a-Z93. This separation is in line with their reported TMRCA, and supports the split of Finno-Permic from an eastern Uralic group (Ugric and Samoyedic), although still in contact through the Russian forest zone to allow for the spread of Indo-Iranian loans. This bottleneck also supports in archaeology the expansion of a sort of unifying “Corded Ware A-horizon” spreading with people (disputed by Furholt), the disintegrating Uralians, and thus a source of further loanwords shared by all surviving Uralic languages. 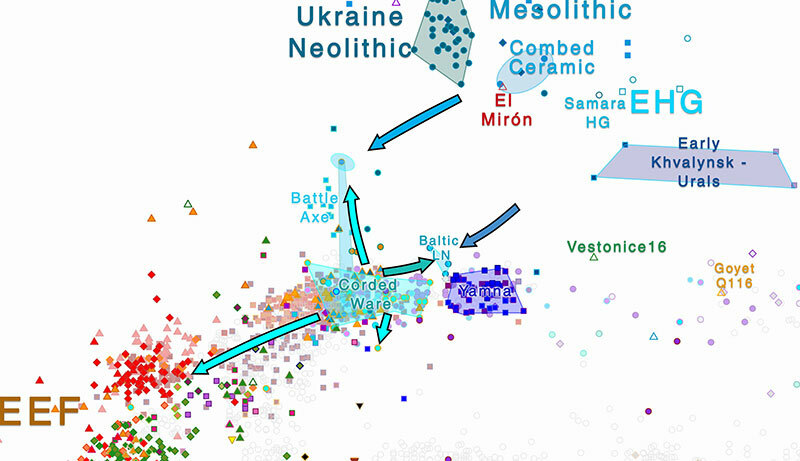 Confirming this ‘concentrated’ Uralic expansion to the east is the presence of R1a-M417 (xR1a-Z645) lineages among early and late Single Grave groups in the west – which essentially disappeared after the Bell Beaker expansion – , as well as the presence of these subclades in modern Central and Western Europeans. Central European groups became thus integrated in post-Bell Beaker European EBA cultures, and their Uralic dialect likely disappeared without a trace. NOTE. The fate of R1b-L51 lineages – linked to North-West Indo-Europeans undergoing a bottleneck in the Yamna Hungary -> Bell Beaker migration to the west – is thus similar to haplogroup R1a-Z645 – linked to the expansion of Late Uralians to the east – , hence proving the traditional interpretation of the language expansions as male-driven migrations. These are two of the most interesting genetic data we have to date to confirm previous language expansions and dialectal classifications. It will be also interesting to see if known GAC and Corded Ware I2a-Y6098 subclades formed eventually part of the ancient Uralic groups in the east, apart from lineages which will no doubt appear among asbestos ware groups and probably hunter-gatherers from north-eastern Europe (see the recent study by Tambets et al. 2018). Sadly, some brilliant minds decided in 2015 that the so-called “Yamnaya ancestry” (now more appropriately called “steppe ancestry”) should be associated to ‘Indo-Europeans’. This is causing the development of various new pet theories on the go, as more and more data contradicts this interpretation. There is a clear long-lasting cultural, populational, and natural barrier between Yamna and Corded Ware: they are derived from different ancestral populations, which show clearly different ancestry and ancestry evolution (although they did converge to some extent), as well as different Y-DNA bottlenecks; they show different cultures, including those of preceding and succeeding groups, and evolved in different ecological niches. The only true steppe pastoralists who managed to dominate over grasslands extending from the Upper Danube to the Altai were Yamna peoples and their cultural successors. Corded Ware admixture proper of expanding late Sredni Stog-like populations from the forest-steppe. See full version here. NOTE. 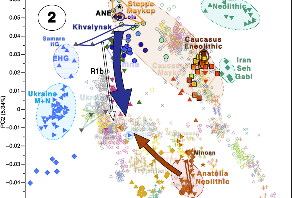 You can also read two recent posts by FrankN in the blog aDNA era, with detailed information on the Pontic-Caspian cultures and the formation of “steppe ancestry” during the Palaeolithic, Mesolithic and Neolithic: How did CHG get into Steppe_EMBA? Part 1: LGM to Early Holocene and How did CHG get into Steppe_EMBA? Part 2: The Pottery Neolithic. Unlike your typical amateur blogger on genetics using few statistical comparisons coupled with ‘archaeolinguoracial mumbo jumbo’ to reach unscientific conclusions, these are obviously carefully redacted texts which deserve to be read. [A]rchaeologist Volker Heyd at the University of Bristol, UK, disagreed, not with the conclusion that people moved west from the steppe, but with how their genetic signatures were conflated with complex cultural expressions. Corded Ware and Yamnaya burials are more different than they are similar, and there is evidence of cultural exchange, at least, between the Russian steppe and regions west that predate Yamnaya culture, he says. None of these facts negates the conclusions of the genetics papers, but they underscore the insufficiency of the articles in addressing the questions that archaeologists are interested in, he argued. “While I have no doubt they are basically right, it is the complexity of the past that is not reflected,” Heyd wrote, before issuing a call to arms. “Instead of letting geneticists determine the agenda and set the message, we should teach them about complexity in past human actions.